ORLANDO, Fla. — The Orlando Magic ended one streak and stretched another. "It's like there has been a paradigm shift, if that makes sense," Magic forward Aaron Gordon said. "They've been whipping us for so long, but I'm glad we got 'em this time." "It's been a great performance by this team the last five games," Vucevic said. "Not only the wins, but the way we've been playing. Really impressive performances on both ends of the floor. A lot of guys scoring in double digits, playing together, defending well." "I don't know what it is, what has ignited this stretch, but we've finally found a way to come together," Isaac said. "We were terrible tonight. We were awful and they were good," Charlotte coach James Borrego said. "We were not competing, not having pride about your job, not making shots . we were just terrible and we need a break." The Magic probably are thinking just the opposite. They have beaten opponents by an average of 22.5 points during the win streak and limited them to below 40 per cent shooting from the field. Orlando made 17 3-pointers against the Hornets. "When the ball goes in the basket, everything else becomes much easier," Magic coach Steve Clifford said. "In terms of how we're playing, yes, the All-Star break is coming at a bad time. This is the best we've played all year, but you can see we're tired. We all need a break." The Magic dominated the game at both ends of the court, but most of it was fueled by a relentless defence that limited Charlotte to 26.4 per cent shooting for the half. Orlando was almost as good offensively, getting contributions from every player, especially the fast-developing Isaac. The Magic's top pick in the 2017 draft had 13 points and six rebounds at halftime, and was the anchor at the back end of the team's defence. Charlotte hit just nine of 25 shots in the paint in the first half. 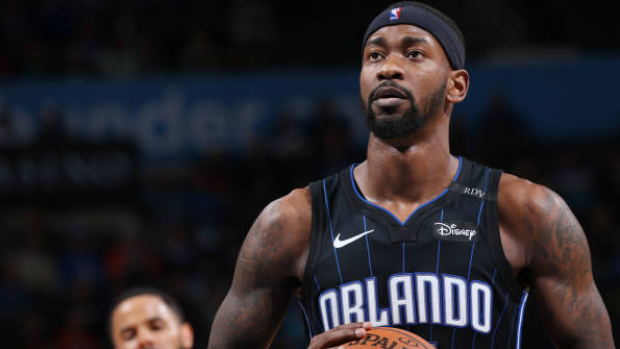 Magic: Isaac's streak of seven straight games with two or more blocks ended. . Orlando is limiting opponents to just 39.6 per cent shooting during its five-game winning streak. "Rehab is going great," said Fultz, who added there was no timeline for his return to action. "This is an opportunity for me to get a fresh start with the team, coaching staff and organization. They've been about building me up both as a man and on the court. That's music to my ears, really."